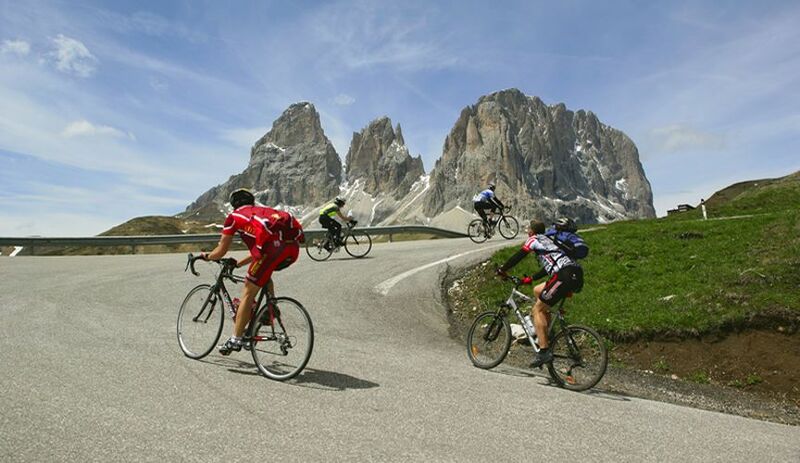 A valley that offers truly incomparable views, almost a palette of brilliant colors and perfect lines thay rise from the valley bottom,dotted with small villages,up above to draw the paramount peaks of the Dolomites. Fassa Valley is completely muffled by these mountains, one of the most famous destination for lovers of winter sports and summer activities. 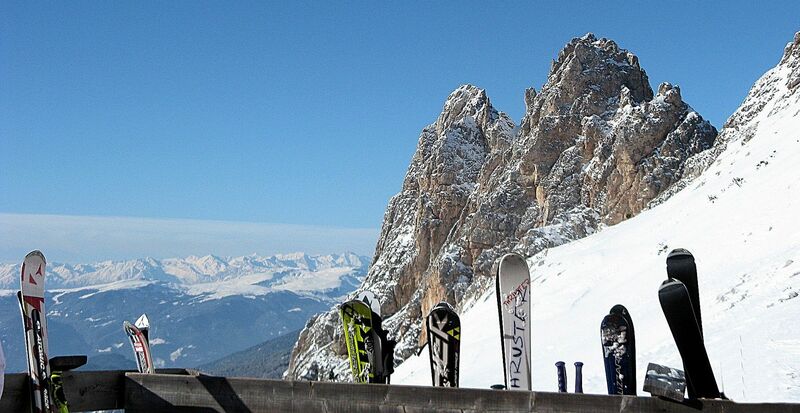 Ski freaks will find over 200 km of fantastic slopes connected with Dolomiti Super Ski, the largest ski Area in the world. Snowboarding is very popular too,and several rings will allow cross-country skiing enthusiasts to enjoy themselves safely. 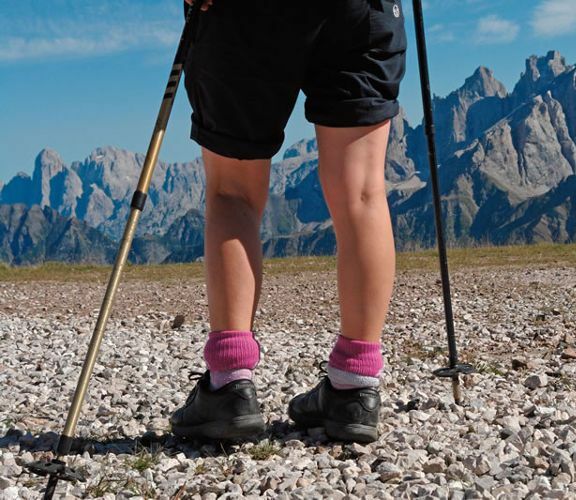 Upper Val di Fassa offers many possibilities for leisure activities in the snow: there's no better way than to hike with snowshoes, called "ciaspole" to be spellbound by the beauty of nature covered in snow. In summer the valley is dyed of a thousand colors, warm sunshine lights up the woods and the majestic peaks of the Dolomites. Those places that during the winter can only be reached by lifts, in summer can be achieved with exciting walks. Mountain huts are waiting for you to learn about the life in the Alps and once up there you can go trekking, mountain biking, Nordic walking, rafting down the Avisio, paragliding and many other extreme sports.Besides to this, the Valley is known for being the only valley in Trentino, where Ladin is still spoken, and where ancient traditions and customs are still deeply rooted in the hearts of the locals. 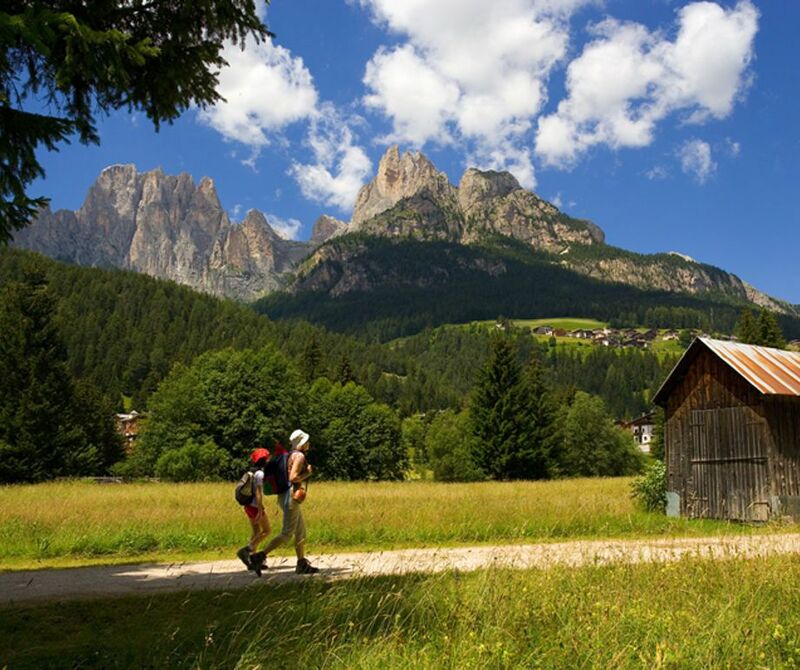 Alba di Canazei: a small jewel nestled at the foot of the Sella and the Marmolada. The Ciampac cable-car,which is the main access to the Ciampac-Buffaure ski area(one of the 9 different ski areas in Val di Fassa. ), is only a few steps away from the Hotel and only 300 mts away from the village center. 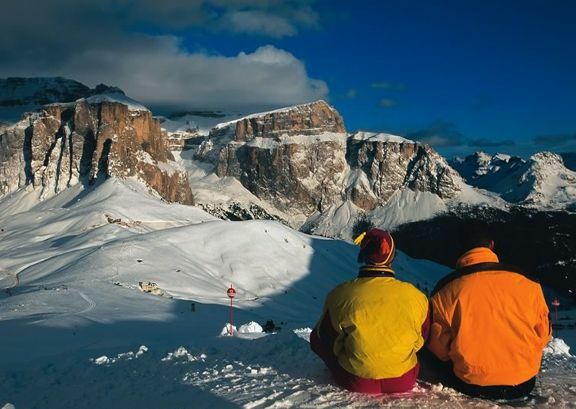 4 major ski tours, including the famous Sella Ronda, or Tour of the Four Passes, 4 snow parks, 220 km of skiing , 115 perfectly groomed pistes and 86 state-of-the-art last generation lifts. Snow is always guarantee thanks to a widespread extensive network of Snow Cannons.This is Val di Fassa: a real paradise for skiers who can ski on 9 different ski areas all connected one to each other and all accessible "Skiis-on-feet" or with comfortable Ski-shuttle services.. All this right in the middle of the World's largest ski area: the Dolomiti Super Ski. 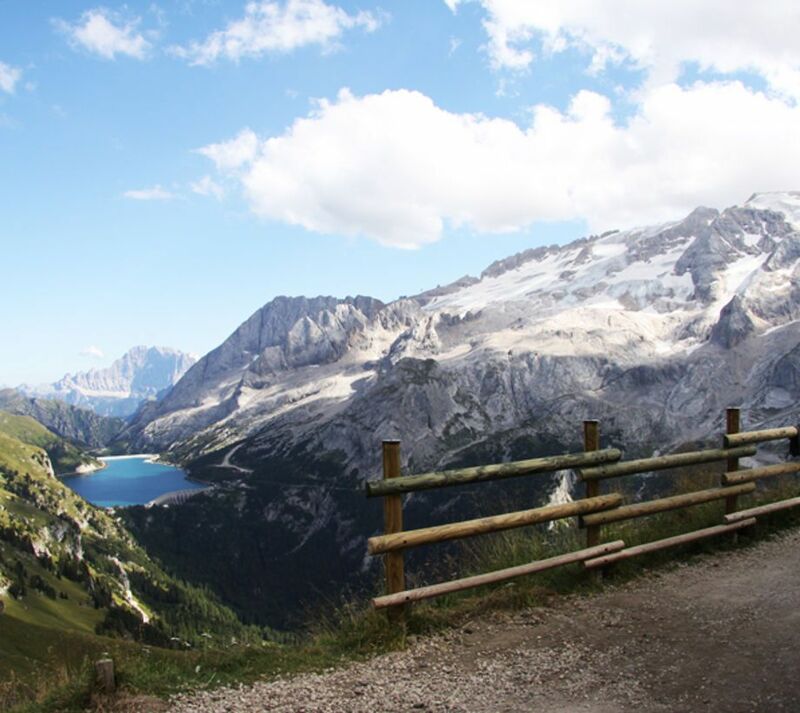 The hotel is just few meters away from the Ciampac's cable car, which takes you up on a natural terrace where a breath- taking view over the groups of Sassolungo, Sella and the Marmolada will astonish yo. 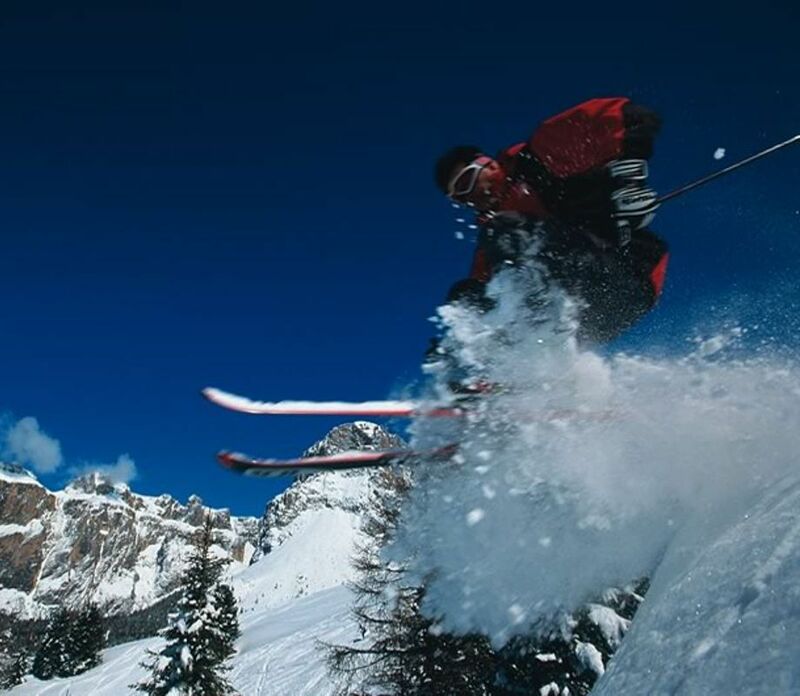 ; the area is connected with the ski area Pozza Buffaure and is the only one in the region with a cross-country skiing ring located 2000 mts above the sea level. Ciampac is always in the Sun and offers a day-care center where little ones can play safely in the snow: the ideal environment for all the Family ! Walks with snowshoes are really enjoyable and suitable for everyone as this activity does not require any particular skill or training. We will suggest picturesque routes through woods and snow-covered trails. In Val di Fassa trails and excursions through the Dolomites are truly countless ... you just have to decide whether go Nordic walking, mountain biking or simply backpacking ... a chance not to be missed for those who enjoy to live in an active way and are keen on living the mountain environment down to its deepest marrow! Hotel Albolina Alpstyle adheres to Val di Fassa card and Panorama Pass card to allow you to discover our charming Val di Fassa .